It’s important to note that, for these bargain rents, you won’t be getting a palatial or luxurious abode. I’m limiting my picks to places where you could rent something modest and cozy but reasonably outfitted from a North American’s perspective. Here are five places where you could rent for as little as $500 per month. Nicaragua has suffered serious bad press as a result of its troubled past and current president. Those unfortunate realities aside, this beautiful land of lakes and volcanoes has a great deal to offer the would-be retiree, including a new program of special benefits for resident retirees. There is also a growing and welcoming community of expats from around the world, top-notch health care in Managua thanks to the international-standard Vivan Pellas Hospital Metropolitano, and bargain-priced rentals. Leon is the second of this country’s two colonial cities, and generally less developed and recognized than its sister city, Granada. In many ways, Leon is preferable. It’s a university town with museums and theater that sits less than a half-hour from the coast. Because it’s been largely ignored until recently, it’s also a more affordable place to rent than higher-profile Granada. You could rent a two- or three-bedroom colonial house here for as little as $500 or $600 per month. The downside to Leon is the climate. Mornings and evenings can be pleasant, but midday temperatures are often brutal. If hot weather bothers you, consider the mountain city of Medellin instead. This pretty city built almost entirely of red brick boasts a spring-like climate year-round. Like Leon, Medellin is an emerging retirement haven, meaning the existing expat community is small but growing and the costs of living and of renting are temptingly low. One friend is renting a small studio in a non-central neighborhood for the equivalent of $210 per month. You can rent a two-bedroom apartment in a new building at a central address for $700 or $800 per month. My top recommendation for a beachfront retirement where the cost of renting is low enough to accommodate almost anyone’s budget is Las Tablas, a city on the Pacific coast of Panama’s Azuero Peninsula. Panama has first-class and affordable medical care and facilities, a pensionado program of special benefits for foreign retirees, and well-established expat communities. The city also has a developed infrastructure, many user-friendly options for establishing foreign residency, and can be a tax-haven for those wishing to minimize their taxes. Not all of Panama qualifies as bargain-priced. As this country has become increasingly favored by retirees and investors, the costs of both living and of real estate have been rising, particularly in discovered areas such as Panama City but Panama offers a number of appealing lifestyle possibilities beyond its capital city, including Las Tablas. The downside to Las Tablas is its distance from Panama City. It’s about a four-hour drive away. However, the cost of living can be half that of Panama City and you can rent a small house within walking distance of the beach for $300 or $400 per month. I know of a single American man who lives in Chiang Mai on $200 a month, with half that going for rent. He gets around on a bicycle and eats at low-cost noodle stalls or for free when a temple offers lunch. He makes a sport of spending as little as possible. I also know a Thai American woman who bought an apartment in a small town 15 kilometers from Chiang Mai. She manages on $600 a month from Social Security and, as she is Thai and over 60, she enjoys free government health care. It wouldn’t cost you very much more to live and rent in Chiang Mai. House and apartment rentals in Chiang Mai can vary dramatically, from perhaps $150 per month for a small home and garden in the country to $400 or $500 monthly for a larger, newer place in town. If you’re willing to look beyond Paris, the southwest of this country can be highly affordable. Cessenon-sur-Orb, in the Languedoc-Roussillon region of southwestern France, is colorful, eclectic, and very open to retirees. The village dates from prehistoric times, but the feel is medieval, with the church dominating the center and the tower of Le Donjon looking down from above. Here in this quintessentially French country corner, you’ll find many expats of several nationalities. They’ve sought out this unsung region because it offers everything you need for a comfortable life, yet boasts a small, charming, typically French village atmosphere, with centuries of history and lots to do and see. As a result, this town is growing and attracting both more French people and expats. Perhaps the most appealing part is that the cost of renting in this picture-postcard corner of France can be modest, certainly relative to Continental Europe in general. A monthly rental of 400 to 600 euro is realistic. 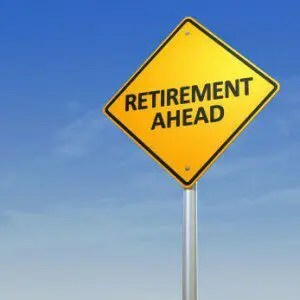 Sadly, with the devaluation of the US Dollar in progress you are unlikely to be able to sustain an overseas retirement. Social Security is paid in US Dollars!!! F R ance debated ending health care for all expats living in france. Panama, other small nations/ islands: no resources, dependent on world fuel. Myrtle Beach South Carolina, USA is very affordable as well.